If you have a large trading account and fear that your broker will run away with your money or do trading on your account without your knowledge then you need not fear. The rules by SEBI (Securities and Exchange Board of India) are so strict that the brokers actually fear trading without your permission in your account. The rules governing management of money in brokers account are even stricter. According to a recent rule any money that is not used in a Demat account needs to be returned to the client. Earlier if you remember the brokers used to keep the money in your trading account. You could have used that money any time you want or leave it idle. But now rules have changed. The money that is not blocked or used for a certain time needs to be returned to the client’s bank account. This is to ensure in case you had left a lot of money with your broker and God-forbid some thing happens to you, all the money that is unused will be refunded. In many cases family members do not know how much money the bread-winner has kept in the trading account. In earlier cases the whole money was kept with the broker and returned only when the nominee closed the account. The brokers used to keep the interest received on that money and return only the principal. Today they cannot. In the US the money is not returned but the client gets interest on the money equivalent to a debt mutual fund of US (anywhere from 1-3% in a year). I do not understand why SEBI does not enforce this rule here instead of returning the money. Here in India debt mutual funds make almost 9% in a year. If enforced the money lying idle in Demat account will make more than money in our savings account. SEBI knows how many clients a broker has, their PAN and other details like which bank account your account is linked to etc. They can find out all transactions done on you account through the broker, like cash deposits and withdrawals. So there is almost NIL chance that any broker can run away with your money. According to the terms and conditions of SEBI no broker can buy or sell against your wish in any stock or derivative. They may call you, they can ask you to buy a stock because they feel its headed up, but I don’t think if you deny they can go against your wish and buy that stock. It is a totally different story that you allow your broker to trade on your behalf, in that case if there is a loss they will remind you that they had taken your permission. However I am talking about the popular and big brokers. I have no experience and idea of small brokers who run business from their homes with a couple of computers. These brokers are popular in remote areas, suburbs, village and small towns. My father-in-law had account with one such broker running business from home with one computer, but I never heard of him saying they ever traded against their wish. If there was a miss-communication, misunderstanding on phone, or a trade done by mistake then that’s a different issue altogether. But as far as I know brokers rarely trade against the wish of their clients. Its a serious issue. SEBI takes it very seriously. If SEBI comes to know of it through complains, their license will be canceled – so they actually fear trading without your permission. There is a plain logic to it as well. See brokers need a lot of trading to make reasonable money. So if they need to cheat they will trade one everybody’s account. Trading in one or two account against the wish of the client is not going to make them any money. And if they trade against the wish of all of their clients someone might definitely report to SEBI or consumer courts. A few complaints – investigation – and gone – the broker is out of business. So they will fear doing any trade without the knowledge of their client. In this case I am sure some kind of miss-communication took place. Or probably the trader was not clearly told the risks involved in Futures trading. 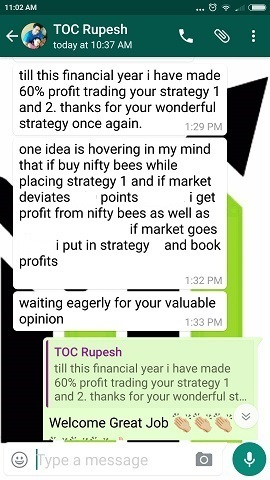 He might have only told that if you buy a Future you make a lot of money if Nifty goes up. Probably he was never told that if it falls, he will have to pay for the losses. Remember brokers will never deny a trade. If you ask them, “shall I buy SBI now?” They will never say No. They will always say, “yes buy its a great stock, it will go up very fast.” In 95% of the cases the client gives their consent and the trade is done. When any broker applies for brokering license they have to a sign terms and conditions under which they keep a lot of money as security with SEBI – on top of that every trade is monitored by NSE, BSE, MCX or any other exchange where the trade takes place. Its near impossible for any broker to fudge accounts or run away with their clients money. A broking company may declare bankruptcy, refund their customers and close business but the conditions are so difficult that they cannot run away with their clients money. For example no broker accepts cash – you have to do an online transfer or pay by check. Similarly they do not pay you by cash. So 100% transactions are accounted for and all records can be produced when demanded. Sometimes some broker may close business but they may either close your account or shift your shares to some other broker and you become their clients. Of course the F&O trades needs to be closed. I think they cannot be shifted. Still you should do your research before opening an account with a stock broker. For example you can find complaints against any broker in the Arbitration Status page of the NSE. You can also read reviews online about the broker. Read what their clients are saying. At least you get some idea. Your bank also is a stock broker but its their by-product so I would advise to open an account with a company that specializes in stock brokering. That should be their main business. If that’s not their main business they will not be able to give kind of support you may need. At least your F&O account should be with a discount broker. This is because if you are paying Rs. 50/- per lot then you are paying too much to your broker. The discount brokers charge per trade (not per lot). Most discount brokers in India charge are Rs. 20/- or less per trade. You must have 2 trading accounts. One should always be used for long term stock investments. For example make a list of companies that you think will be multi-baggers in a few years and start a SIP (systematic investment plan) in them. Let say you invest 3000 every month in rotation on the 1st of every month in 5-10 companies of your choice. Lets say at an average return compounded annually these companies return 15% CAGR (some stocks return more), then in 31 years you will have more than 2 crores in your kitty. More than enough for your retirement from one account itself for a small investment of just Rs. 3000/- per month. Remember you can make much more if one of the stocks behaves like ITC or a Wipro. The other account should be for F&O trading purposes only. Now here is some magic. Lets say you start with 2 lakh only and do not add a single paisa to that account ever. Now lets assume you make just 24% CAGR (Compound Annual Growth Rate – only 2% a month) which is entirely possible if you trade conservatively. In 20 years you will have almost 2 crores. Not to forget you have another trading account that’s also helping you grow your money. If you are wiling to learn, have patience and discipline its entirety possible. Very Nice and informative post. I would like to add to it that, If the broker declares bankruptcy and hence unable to pay his clients, then NSE has Investor protection fund and maximum amount entitled is 15 Lacks. Thank you Satish for the valuable comment. This was not known to me that NSE has Investor protection fund up to 15 lakhs only. Well looks like cases like these are very rare. It also looks like NSE does not pay anything out of its pocket if something like this happens. May be they pay from the security deposit they get from the broker when they opened the business – that is why there is a 15 lakhs ceiling. September 2014 is not even 1 year back and I seriously do not remember any big impact of this news. I read a lot of news. I mean a big investor losing a lot of money out of Unicon Securities closing its business. Thanks for the valuable input again. I had opened 3 demat accounts and I want to close 2 of them. Now I hear there is annual charges even if you don’t operate them. I don’t even remember them. What is the easiest way to do that. I think annual charges were abolished a couple of years back by SEBI if a client does not have any share holding through them. If you have even 1 share of any company then there is an annual charge. 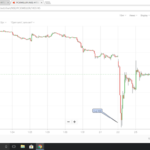 If you do not have any stock or any cash left with them then my advice is send them an email and tell them since you do not have any liability in that account and you do not wish to continue trading with them, you would like to close your account. If they ask you for a fee then remind them that law says they cannot charge you for just opening an account – the fee is there for an active account not for a dead account. If they insist then just don’t do anything. Because if they do not have anything that you own like shares or cash, they cannot do anything. I mean they cannot force you to pay. So just forget you had an account with them. You informed them that you do not want to do business with them, that should be enough. 1. Sell the shares and withdraw the money. Send them an email to close the account. 2. Transfer your shares to another broker. Ask you new broker they have a transfer form and its easy to transfer shares. Once that is done, mail your old broker that they should close your account as you do no want to do business with them. Point is if you have nothing left in that account there is no need to close that account. Just forget that you had an account there. Most brokers allow idle cash to be parked in liquid bees / liquid funds (link with details below). This enables interest to be earned on cash balances, as well as avoiding exposure to brokers in default situations. Some brokers have facility to park your idle cash in liquid funds – but its not done automatically. In the US its the default. 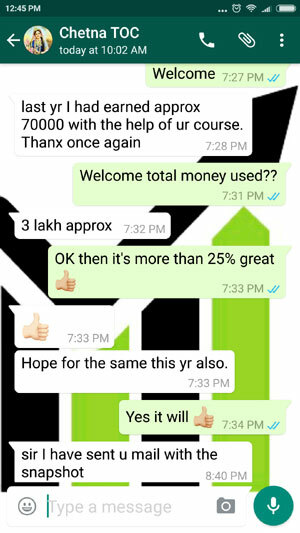 Let say you have 35,000 in your trading account and took a derivative trade. 30,000 was blocked, 5000 was idle for one month. This 5000 will not accumulate any interest and will remain 5000 until the trader invests it manually in a liquid fund that too if his broker has the facility. The link you sent is a brochure for Goldman Sachs Liquid Exchange Traded Fund. There are many other liquid funds that return much better than them. In fact I park my cash in short term or ultra short term funds – their returns are near 9% per year. Hope I am now clear. So can the broker earn interest intrinsically on the money parked in trading account of its clients till the stage is reached when as per SEBIs circular the said amount has to be settled with clients bank account every quarter? Second question, in Rksv broker case where online banking account like Icici has to be attached with trading acc at the time of registration can the broker earn interest in parked money? Thirdly , since the margin money is blocked by the broker say RS 13000 while shorting nifty future can the broker rotate that money and earn interest on that? Yes. In fact brokers actually earn interest on the parked account with them. In any case since they cannot keep this money in their home, they keep it in a bank account – and its obvious that they are earning some interest on it. Please understand that the interest can be earned on any money that is not used for buying a stock. In other words if you trade only derivatives, technically only the loss or profit, once the trade is closed, is the liability of the broker which he takes or give you anyway – so technically they can earn interest on the money that is blocked as margin – since its a virtual block not a real block. Disclaimer: What a broker is doing with the clients money depends and differs from broker to broker. So we will NEVER know the truth. What I have written above is something that is possible but that does not mean every broker is doing. Answer to the Second question is also similar. Once you hand over your money to the broker (or fund your account), they start earning interest on it. That is the reason I said SEBI should give this interest to us, not the brokers, but I do not see it happening in the near future. I have already answered your third question. Yes they can rotate only the profit and loss and earn interest on whatever money they have. 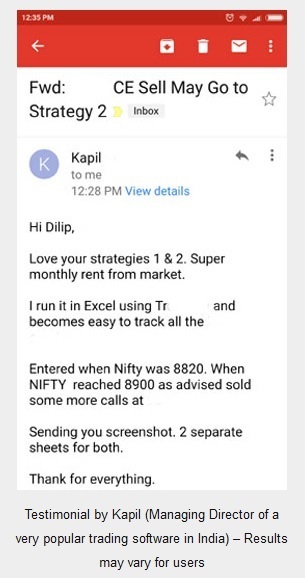 For example let say a broker has worth 1 crore of clients money and they know at the end of the month the average max loss is 1 lakh from all accounts (profit they are least bothered) – so they can keep 99 lakh in a liquid fund and earn interest on it. Again this is a possibility not sure if everyone’s doing it. Please also understand that brokering business is not all roses. Do not forget the security deposit they have to give to SEBI to start business. Today I am sure it must be crores. Brokers do not get any interest on the money deposited for security. In that sense they have the right to earn interest. My only point is if brokers start giving that interest to us, I am sure more money will be parked with brokers and of course more trading will also be done. So basically it will benefit both parties. This is v helpful. Is this written somewhere in SEBI circular? Abash, What brokers do with their money is not a concern of SEBI. SEBI’s concern is that every trade goes smoothly and the system works perfectly. If there is a loss SEBI does not ask money from the trader – it is the Broker who has to pay to the exchange. If the broker cannot pay then the loss is recovered from the security money they deposited. But these cases are rare as most brokers have strict risk management in place. Most of them use the API of the exchange itself so that the chance of error is less. They have to audit their accounts just like any other business entity in India. If they are following all laws then they can keep the unused money in a liquid fund instead of a bank account to earn interest, again just like other business houses do – and that’s perfectly legal. A liquid fund is as good as a bank account except they return more for parking funds and funds withdrawal takes one business day to come to their bank. If there is some sort of need they can easily withdraw the money to their account and give to the the exchanges. SEBI and exchanges are only bothered with that and nothing else. In any case what brokers are doing with the money in reality is better known to them. I am only saying what is possible. Agree on your comment on lower return. I use Liquid Bees as it allows me to trade till 329pm, and only at close need to deploy surplus/deficit into liquid bees (which trades on the capital market segment). Other liquid funds have a cutoff of 12pm, blocking trading flexibility. Correct, but for an average trader who is on job it gets difficult to keep shifting funds at 3.29 pm. That’s the reason why I think it should be automatically done by the brokerage house. They can take their cut of the brokerage so both the parties benefit. I had taken and bought your course for Strategy 1 and 2 and indeed they are very effective. According to a recent rule any money that is not used in a Demat account needs to be returned to the client. Earlier if you remember the brokers used to keep the money in your trading account. You could have used that money any time you want or leave it idle. But now rules have changed. The money that is not blocked or used for a certain time needs to be returned to the clientâ€™s bank account. This is to ensure in case you had left a lot of money with your broker and God-forbid some thing happens to you, all the money that is unused will be refunded. Can you share the SEBI link or document which mentions that a broker needs to return all the money not used in demat to a trading account? Also, what about discount brokers who do not have a banking account but the amount is generally parked in trading account from bank account? Can the broker still use the margin money and rotate that money? Its very hard to search SEBI circulars. However my broker Reliance Money (this account I keep for holding long term equities hoping a couple of them perform like WIPRO or ITC 🙂 ) returns money unused in my Demat account every quarter. When I asked them they said its a circular by SEBI. One more thing. Its very hard for SEBI to monitor every broker. So its definitely possible that some brokers cannot or do not follow this law. The cost of refunding the money is quite high if they have to courier the checks by post. On top of that the accounting is a headache. Therefore it may be possible that refunds goes to only those account holders who have given an online credit mandate to their brokers. And its also possible that some of them just do not follow this law. Frankly I do not know. Every broker has a bank account – its mandatory. Its a business and they have to mention their current account to SEBI. Margin is calculated on each account NOT on what the broker has from all accounts. So according to laws if you do not have sufficient margin you cannot trade – the system should reject the trade for insufficient margin. This is done my the risk management team or the software of the broker. There is a clichÃ© here. Some small brokers who do not have a risk management team do allow more trading to be done in a small margin. 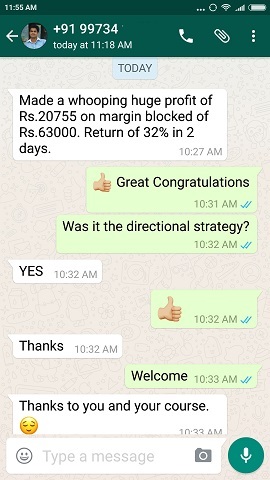 I have had people calling they could sell options or do future trading for say on a 5000 margin – whereas NSE rules says at least 13,500 will be blocked for Nifty option sell or Future trade. Please understand that in such a trade the risk is entirely of the broker. If there is a loss and the client does not pay, the loss has to be taken by the broker. You will also see that even in case of big brokers if a Future is losing around 13,000 the trader gets a margin call. If next the day losses exceeds the risk management team is at their will to close the trade and then inform the client. Here they are absolutely right in closing the trade without the consent of the client because they will have to bear the loss if the client is unable to pay. However closing the trade without the margin call in not correct, though they have the right to do so. Hope that helps. Sorry couldn’t clearly understand your question so wrote whatever I understood out of it. Please ask again if you did not get the answer. What about the Clause of ‘Power of Attorney’ used by the brokers? I doubt if it is safe? A POA is essentially a power given to broker to trade on your behalf online, i.e. legal trade without involving your physical signature. A POA is required mainly for online trading accounts. For example in good old days we used to fill up forms and sign documents to buy stocks of a company. Today its by just press of a button. So essentially whether you buy or sell you do not sign anything. Somebody has to take care of other legal obligations if any, and that is your broker. So you need to sign a POA I think its done when you open and online account with them. Another case is when you ask for collateral against shares bought. The POA is used to sell shares on your behalf if you lost money. Only that number of shares are sold that can cover the losses. Like in every business, there can be culprits. Yes if the broker wants they can use POA to do illegal trading on your behalf. But read my article to know why its really foolish for them to do as as their business can be a risk if caught. That’s the reason why you rarely hear unauthorized trading by brokers. That does not mean it does not happen. Therefore its better to have accounts with known and popular brokers. They all use the same Software, i.e. NEST so the trading experience is Similar. All 3 of them have similar pricing structures, i.e. Rs.20 per trade. Zerodha has an in-house made tool Called Kite & Pi too but I do not know of good it is in terms of trading. RKSV gives 5 free trades a month. SAMCO has the Indian Trading League & free account opening. RKSV does not offer 5 free trader anymore.